The trial of Gu Kailai for the murder of British businessman Neil Heywood has ended in the Chinese city of Hefei, after one day. A court official told reporters Ms Gu had not contested the charge that she killed Mr Heywood by poisoning in 2011. Ms Gu is the wife of former high-flying Chinese lawmaker Bo Xilai, who lost his post in the scandal surrounding Mr Heywood's death. 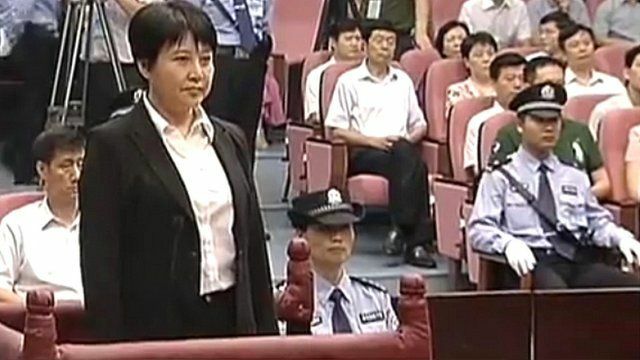 She was on trial along with her aide, Zhang Xiaojun. John Sudworth reports from Hefei.